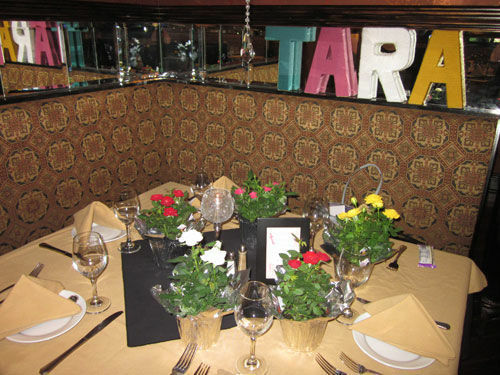 Several weeks ago, I had a great Saturday afternoon spent with family and friends at my bridal shower. For years, I’ve enjoyed playing Scrabble by the pool at our friend’s beautiful backyard and since getting my Kindle, I’ve also been playing Words with Friends. My bridesmaids used this concept as a theme for my “shower of happiness” with hints of Scrabble titles and alphabet letters! Allie (my MOH) is also a big Pinterest follower. 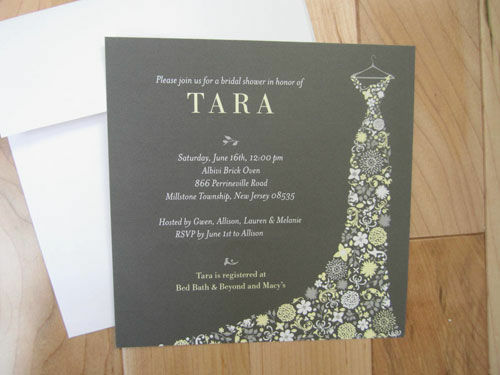 I was so excited to see hints of handmade things I’ve adored on Pinterest now at my own party! 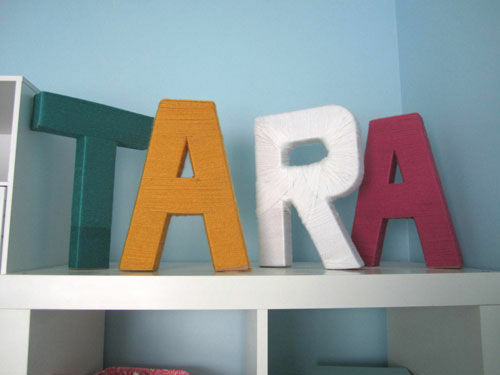 Allie crafted these yarn covered letters in fun colors which sat near our head table. These babies now sit in my craft room! 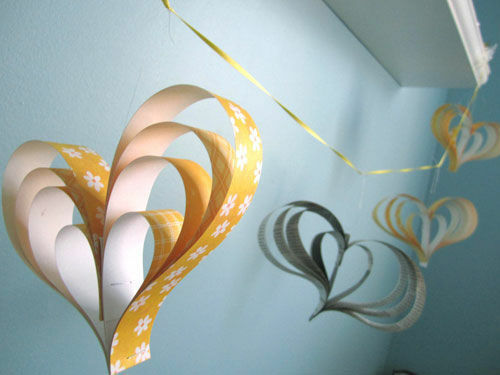 She also made this adorable heart garland, made from newspaper and yellow crafting papers (hanging on the back wall by the bridal balloons). These also now hang in my craft room! When guests arrive, they found this advice card at their place setting, listing my and D’s names with Scrabble like letters. Of course, I’m friends with some pretty creative and sarcastic people, so reading these has been a lot of fun. 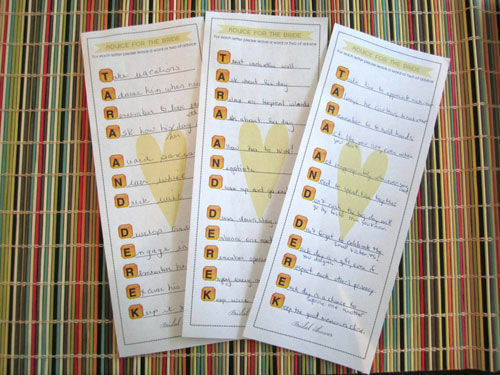 Some are great bits of advice and others are just clever usage of the starting letter! Upon leaving, guests received their own goodies for attending. 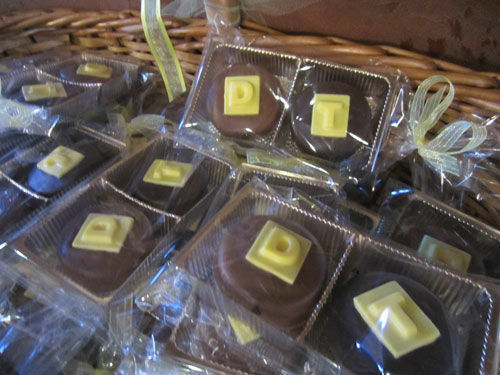 My mom arranged for these chocolate covered Oreo topped with “T” and “D” chocolates. 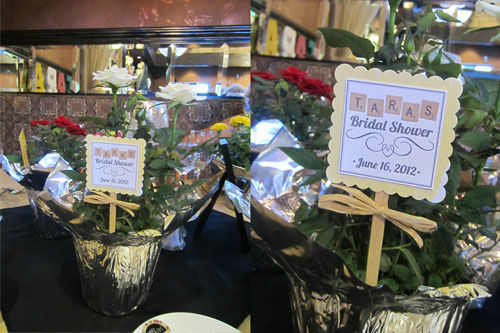 Fellow bride to be Vanessa, created these adorable stakes that were inserted into each of the flowers at the table. Each guest was able to bring home their flower pot to plant at home. 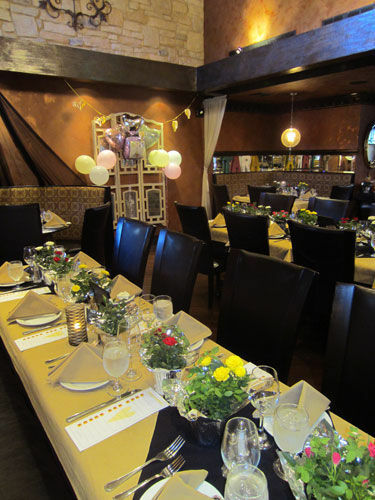 Allie, Lauren, Melanie and Mom – Thanks for hosting a beautiful shower!! I loved all the Scrabble letter elements throughout and my handmade decorations! !